Limited to 10 x DJs / Producers are invited to join Grahame Farmer for a BOOST Session to help them get further as DJs in the music industry. 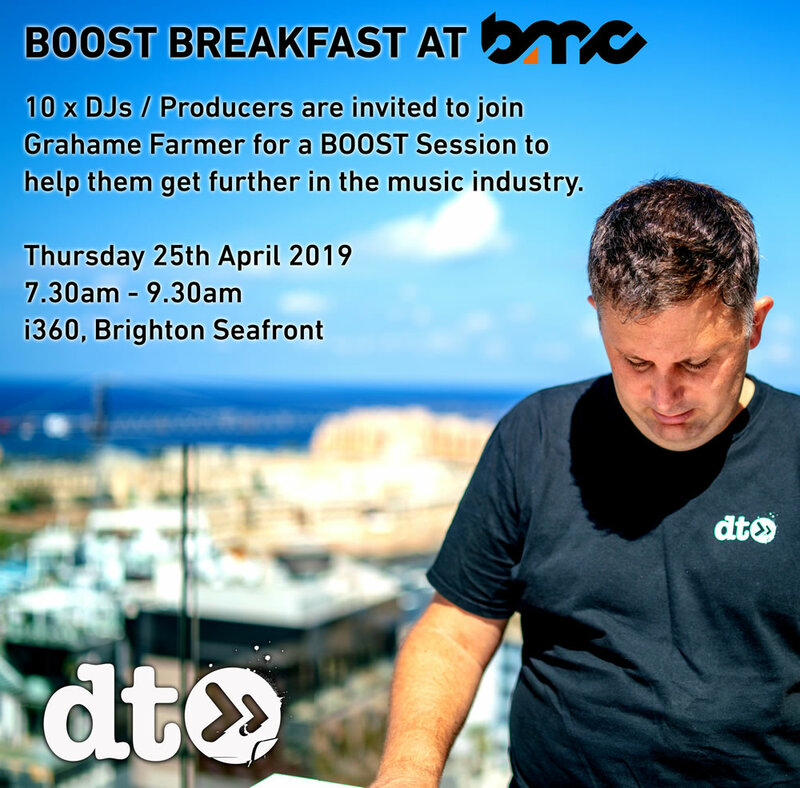 Grahame uses his 15 years’ experience in dance music from founding Data Transmission and co-founding DT Radio, Shanghaied Records, The Tribes to bring his BOOST 1 to1 Coaching with the aim to help DJs get further in the music business. This BMC Breakfast BOOST will be a round table session allowing the participants to ask questions about building their careers, Social Media, SoundCloud, Spotify, getting press coverage, getting bookings & creating goals for themselves as artists. Entry to all BMC networking parties. If you have already purchased your BMC ticket you can add a BMC Breakfast BOOST Bolt-On.